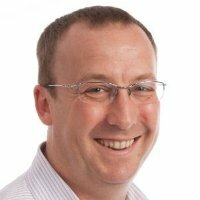 Our mission is to “Inspire, Challenge and Support our customers and colleagues to be the best they want to be”. It is easy for us to tell you that we do but not so easy to get third party confirmation that we do. We’ve won two awards at the British Accountancy Awards in London. These extremely prestigious awards (The Accountancy equivalent of the BAFTAs!) are held annually, and winners in other categories included KPMG and RSM Tenon. The second award was National Accountancy Employer of the Year. This was awarded to the practice that scored highest in an extensive survey, sent to all employees of the firms who entered. We were up against some of the best known and biggest accountancy practices in the country and we are incredibly proud of this achievement. At The National Accountants’ Conference in Birmingham, in front of 350 fellow accountants from across the country, we were named as the UK’s Best Accountancy Practice. The award is voted for by our fellow professionals and took us 8 years to win it! We are very honoured to be added to the list of distinguished previous winners. 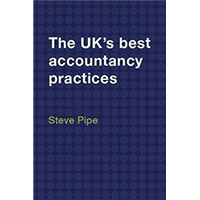 We also feature in the book “The UK’s best accountancy practices” which was written as part of the judging process. In fact, we are the only firm in the book to be featured twice! If you’d like a copy of the book just let us know and we’ll send you a copy. Investors in people – We haven’t just got Investors in People we have also been recognised as meeting the GOLD standard. This puts us in the top 1% of employers in the country. More details of Investors in People can be found here. We were the 5th accountancy practice in the Country to be awarded the Customer First standard which is the external equivalent of Investors in People. You can found out more about Customer First by clicking here.